Members celebrate at SAGE of South Florida’s Milestone Celebration. SAGE is socially inclusive, with a membership including a diversity of ages, cultures, and lifestyles. SAGE welcomes new members anytime throughout the year. SAGE members receive the monthly SAGE newsletter filled with news of coming events and other items of interest. SAGE provides a wonderful opportunity to meet and make new friends. SAGE provides a monthly luncheon for members and their friends. SAGE members enjoy a discounted cost. SAGE provides a variety of activities for its members’ enjoyment and education. This includes boat trips, special dinners, movies, discussion groups, classes and much more. Members are eligible to serve on SAGE Board of Directors and help serve SAGE and the LGBT community. 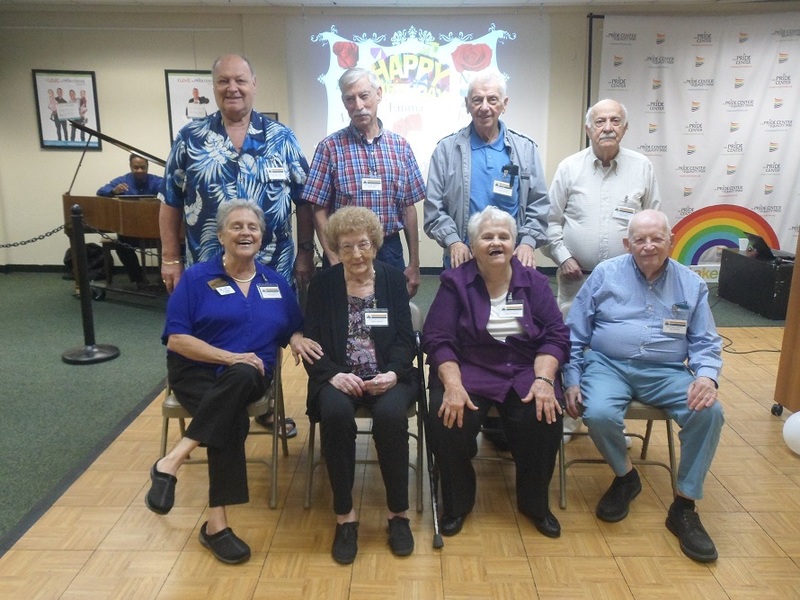 Members help SAGE continue its focus on needs and programs for LGBT seniors in South Florida. SAGE members get satisfaction in supporting the purpose, mission and programs of SAGE. Annual Dues are: $35 per person for those who wish to receive the monthly newsletter electronically, and $45 for those who wish to have the newsletter mailed. A Lifetime Membership is $300. Membership is open to anyone 18 years of age and older who subscribes to the mission and goals of SAGE of South Florida. 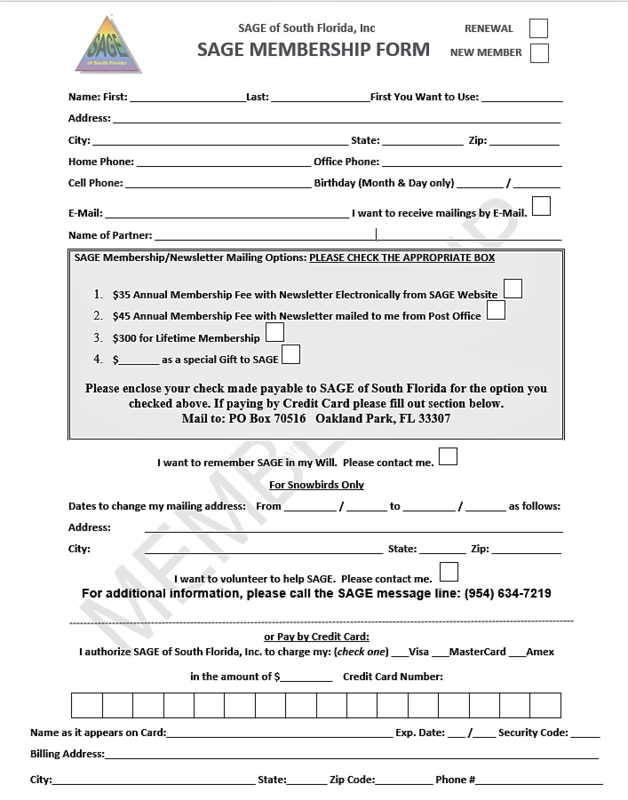 To join SAGE now, please print out our Membership Application and mail it in with your Annual Dues payment to SAGE, PO Box 70516, Oakland Park, FL 33307-0516. Note: You will need Adobe Acrobat Reader® installed on your computer to view and print the Membership Application. If you do not have Adobe Acrobat Reader® currently installed on your computer, you can click here to download and install it now.